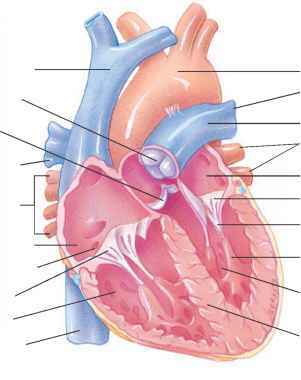 Blood that is low in oxygen and high in carbon dioxide enters the right atrium through the venae cavae and the coronary sinus. 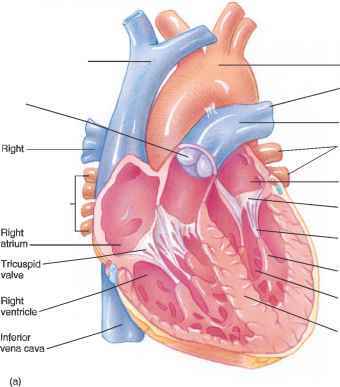 As the right atrial wall contracts, the blood passes through the right atrioventricular orifice and enters the chamber of the right ventricle (fig. 15.10).